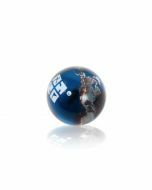 The Geocaching Travel Bug® Marble. The Geocaching Travel Bug® Marble is a unique tracking tag that you can attach to items and give them goals for others to try and complete! 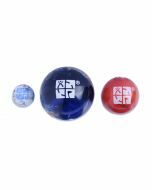 Each marble has an official Travel Bug® Icon and a unique tracking number. 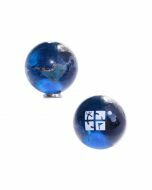 The recycled glass Globe Marble features a deep blue color and creative space shuttle design. The Travel Bug® graphic and continents are kiln-fired, and will last for generations! Each Geocaching Travel Bug® Marble gets its own page on geocaching.com where you can track its progress as it passes on from person to person or cache to cache. 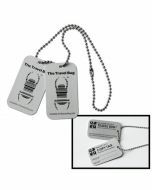 Each Geocaching Travel Bug® Marble comes as a set packaged with a traditional aluminum copy Tag; The marble gets attached to an item (or on its own) and the copy tag lets you keep a permanent record of your individual tracking code.